Psychology is concerned with people and therefore by its very nature, it’s a diverse profession. Its subject matter dictates that. The breadth and depth of what you do as individual psychologists means that there is inevitably a lot that sets you apart. On my travels since taking up the post I’ve heard a lot about these ‘divisions’, which are of course even reflected in the language of the Society’s own structure. But I find myself increasingly interested in what psychologists and psychology have in common – what unites our discipline, our Society? It seems to me that gaining clarity on what unites us would help in bringing the Society together. I’ve already lost count of the number of psychologists who’ve replied to my questions with what they don’t do, or responded ‘it’s more complicated than that’. In a sense psychology is being defined in negative terms – by what sets us apart, rather than what unites us. Could there be, though, a common thread? Do we perhaps need to look beyond what psychologists do, to why they do it? 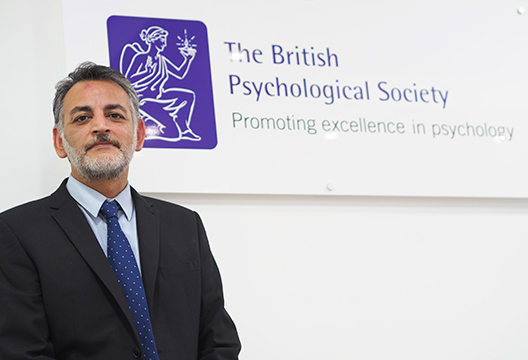 Social conscience comes through as a strong motivator in many psychologists I have met, and ‘to make the world a better place’ was brought forward by our past President Nicola Gale and has informed our recent policy work. But perhaps again there’s more to it than that, something more fundamental. Is there such a thing as a ‘Psychologist’s personality’ – a level of curiosity, an analytical bent, a thirst for pure understanding? Perhaps this has driven psychology to the barricades of the ‘replication crisis’ (or ‘renaissance’!). I look forward to the discussion emerging in these pages throughout the year. So let’s hear your thoughts, and find that common ground. A good psychologist is the one who had come across many paths of life and keeps learning from their mistakes, from their failures, and from their achievement which gives them a never give up attitude, which results in self-motivating and handling their emotional intelligence. A psychologist should connect to empathic feelings and listening to the other person neutrally with feeling without any judgments regarding that person. An Empath, A learner, Curious, Analytical and passionate makes a Psychologist.